The Leadership Qualification is undertaken by any female adult or Young Leader over 16 who wishes to be able to run or assist, in the running of a Rainbow, Brownie, Guide or Ranger/Senior Section Unit. 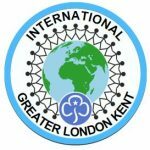 The training for the Qualification is largely done within the Unit Meetings except for, a First Aid Course, A Safe Space, and a training on the ethos of Guiding and the Guiding programme. You must also attend District Meetings which enable you to keep up to date with events and activities in your District. It may be possible to do some of this training via the E.Learning Module on line which can be found on the GirlGuiding website. Everyone has an appointed Mentor to help them. She is an experienced Leader who assists the new Leader to find the evidence required in order to complete the modules. It is a very simple and easy process, the Mentor will follow the pace set by the new Leader. A period of up to two years is allowed for completion of the Qualification.